The secrets of the jungle life have never been revealed so unabashedly as with the use of camera traps. These digital cameras have literally become the ears and eyes of the biologists. They do not need to sleep, eat or sit in cramped crevices for hours to get a glimpse of a shy snow leopard or an inquisitive hare. 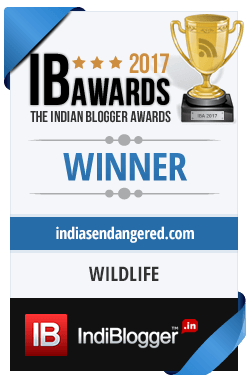 The cameras reveal some known and some surprisingly unknown facts of wildlife and the winning images in this year’s BBC Wildlife camera-trap competition results prove that Indian naturalists are not just using the technology leap but reaping rich rewards from these candid clicks. 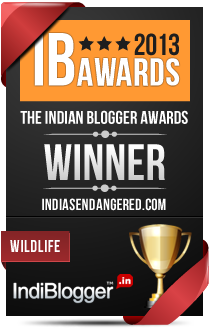 The BBC wildlife camera trap competition was established in 2010 and in merely two years the contest has received hundreds of entries from all over the world of photographs of animals in their natural best. The researchers and organizations participating in the competition not only get a chance to share their finds with the world but win funding for their projects. The beautiful image of a Chinese leopard taken by Zhou Zhefeng for a project funded by the Shanxi Wocheng Institute of Ecology and Environment, won the Overall and Animal Portraits Category this year securing the top prize of £3,000. But Indian entries won in quite a number of categories. Asiatic black bear by WWF-India, Manas National Park. Let’s hope the electronic eyes keep giving us such rare glimpses of nature for a long long time.